All our suites, decks and essentially the entire property are smoke-free. Unfortunately for those who wish to travel with their furry companions, we do not allow pets as to ensure that those sensitive to allergens are not disturbed. The suites are across from the busy Highway 97 so there is highway noise when on the patio, but it is generally not bothersome in the suites. Please note all suites are accessed via stairs. For information on rates and the rooms, please visit our rooms page. Each suite has been designed in its own style, from funky modern to traditional and airy. 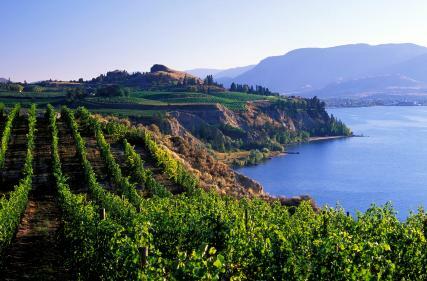 Situated across Highway 97 from Lake Okanagan in Peachland BC; the heart of the Okanagan’s wine country. 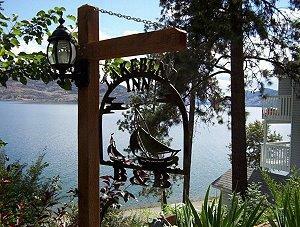 Peachland is a charming town and Beach Avenue along the lake is a great place to spend the day for kids and adults. 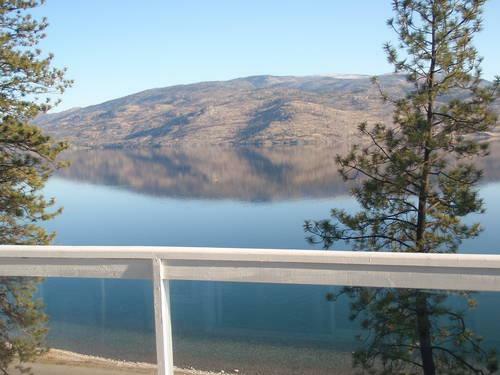 Located approximately a 25 kilometer drive along the highway to downtown Kelowna and a 35 kilometer drive along the highway to Penticton. Located in the middle of all the major winery routes, 15 minutes South from Quail’s Gate, Mission Hill and 15 minutes north of Sumac Ridge and a plethora of Estate wineries from Kelowna to Oliver, the Lakebend Inn offers a perfect central location for exploring the area. Peachland itself is one of the oldest communities in the Okanagan Valley. The esplanade bordering the lake is lined with beautiful mature trees and quaint heritage buildings which house the various bistros, restaurants and shops. Spend your day visiting wineries, golfing, hiking in the trails behind the property, lounging at the beach or just relaxing in your suite! There are plenty of fun activities for foodies and adventure seekers alike! Most wineries in the area offer free wine tours and tastings, while some require a small fee for tastings and/or a tour of the property. Napa North Wine Tours will even pick you up right at our property for guided tours. We look forward to assisting you to arrange an enjoyable vacation that meets and exceeds all your expectations.